Volkswagen Australia once again takes a verbal jab at the Mercedes-Benz X-Class pickup. Michael Bartsch, the head of the VW Group in Australia, believes they can do a better job than Mercedes. Bartsch’s interview featured in Motoring voices out the same sentiments raised last year by their head of corporate communications, Paul Pottinger. Pottinger can be recalled saying, “It’s very difficult to disguise a Navara.” He was clearly referring to the level of quality shown by the X-Class, which he thinks is not that different from the Nissan pickup where the Mercedes pickup is based. Bartsch reminded that Mercedes and Nissan occupy different positions on the market, so there should be a certain level of integrity applied when making a premium vehicle based on the platform of a lesser product. As a recap, the Mercedes-Benz X350d 4MATIC is currently the X-Class pickup’s best trim. Beneath its hood lies a 255 hp V6 engine while its lower trim levels have engines sourced from the Navara. Moreover, the X350d costs €53,360 in Germany. With these details alone, it is easy to see where Bartsch’s argument is coming from. Meanwhile, Mercedes earlier revealed that a new version of the X-Class will come out. This time, it will be powered by a V8 engine. We can only hope that it will do a better of distancing itself from the Navara to put VW Australia in its place and satisfy buyers who are willing to purchase it. How about you our dear reader, do you think Mercedes did a poor job in making the X-Class distinct from the Navara? 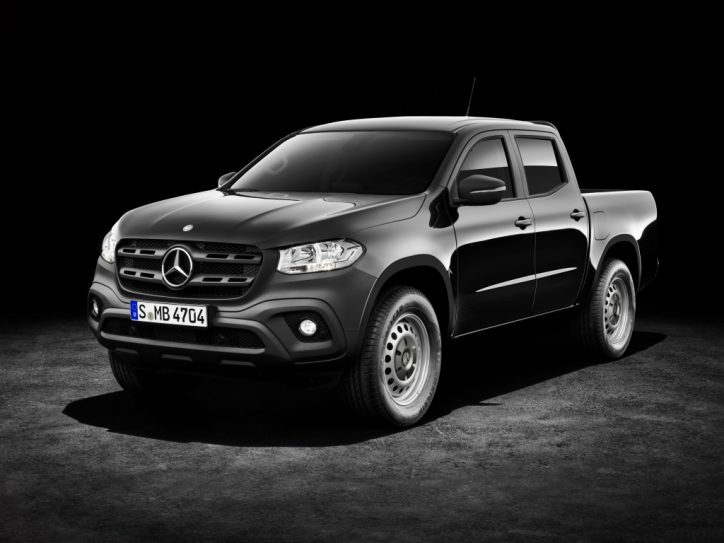 Check out our articles about the interior, exterior and overall features of the Mercedes X-Class pickup to see and decide for yourself.